Apologies for the delay in this final article in my series on specialized Government to Business portals. I've been away on my annual vacation with my family. Back on board now and ready to help you again! Switzerland is another great example of how governments worldwide are better managing their risk exposure and fast tracking their release of transformational digital services. Unlike Ontario who focused on exporting businesses and Singapore on grants to business, Switzerland is concentrating on reducing red tape when starting and running a business. Their niche portal at EasyGov.swiss is a functional well designed experience. But then again, what else would you expect from the Swiss! But the big thing for you, is what can you learn from Switzerland’s niche government to business online offering? As I’ve discussed previously a significant advantage of government focusing on a single specialized digital service means this is more likely to be done well, and be delivered quickly. Of course resourcing, budget and leadership from on-high is also key, but a niche focus instead of a government wide One-Stop Shop can deliver benefits to business and government more rapidly. Using this principle Switzerland’s approach shines. EasyGov builds the platform for businesses in Switzerland to start and for existing businesses to deal with government. They use a similar two-factor authentication process as Singapore’s CorpPass. Once you’ve proved your identity via a non-digital means you can then access your businesses’ engagement with government digitally. But unlike Singapore where its concentrated geographic focus means only a single unitary layer of government exists, Switzerland has a federal system with a national, cantonal (similar to states or provinces) and municipal governments. This adds two extra administrative layers for business customers to deal with. And while Switzerland hasn’t tried a “big bang” approach of delivering all services across all layers of government it’s done something better. Its delivered the technical platform and business processes required for those governments to plug into EasyGov. This is a far better solution as it allows not only quick wins, but certainty to cantons, cities and towns in how to more efficiently and effectively deliver services to Swiss businesses. I really love how EasyGov succinctly promotes the benefits of using their digital service without having to resort to marketing spin. Other sections of the homepage explain the nature of the service. It lets business know up front how long a task is likely to take and allows the customer to save and come back if they can’t complete it in a single session. This is not only empathetic it also is practical. both to the busy business owner but also government in better managing abandonment rates. The site doesn’t say it, but I would thoroughly expect reminder emails would be sent to business owners half-way through a transaction reminding them what they need to do to compete it. Those Swiss are to efficient to miss that opportunity! Another great thing about EasyGov is its ability for business owners to delegate responsibilities to trustees. Provided this functionality can also be applied to a company’s accountant or financial manager it would deal with a major issue facing many governments when tackling customer identity and responsibilities for a business. The site also does a good job dealing with the issues of privacy and what the government can and can’t access. This can be an impediment to service take up by some business owners who are concerned with sharing too much with government. It’s not just the clean modern design that makes EasyGov pop. Their customer-focused clear grouping of topics is also well done, flowing through to its simple information architecture. Up front they set parameters for the video saying it’ll explain things in 180 seconds. And they sure do deliver. Their analogy comparing EasyGov to how a jet plane flies to a destination is simple yet effective. What if business wants more? The only recommendation I’d make to them is to add an extra link to the SME portal a level above in the information architecture. But really this is a small oversight. Another thing EasyGov does better than Singapore when it comes to niche Government to Business portals is its connectedness from the SME portal. You’ll recall that Singapore’s Business Grants Portal did link to its SME portal for more government grants for business, but the SME portal had the link to the Grants portal deeply buried. The same doesn’t happen in Switzerland. Navigating the Swiss SME portal to information about starting a business links to EasyGov prominently and intuitively in the supporting copy. From here it’s clear that EasyGov is the means to register your business and complete other transactions online. Is Switzerland’s EasyGov the perfect niche portal? It’s close. Their overall specialized Government to Business portal strategy is probably one of the best. Aside from the additional link in the site’s information architecture to broader SME information there is only one other area that EasyGov could improve. On the homepage EasyGov attempt to use social proof to encourage Swiss businesses and start-ups to register for the service. But unfortunately in its current form it probably does more damage than good. The prominent display of only 2,187 businesses registered with EasyGov is more likely to scare businesses off from joining. Why? This is a relatively small number. Business owners seeing only around 2,000 of their peers have bothered to sign up are less likely to view the proposition of EasyGov as attractive. As a comparison some state governments in Australia have over 20,000 businesses registered for a similar - but nowhere near as comprehensive - business account. Why don’t they sing those numbers? Because they are still relatively low. Now don’t get me wrong, I’m not discounting government using social proof. Just questioning the choice of data set to display. I’d recommend that EasyGov instead look at other metrics that are accurate but larger and promote those in the same way. This could be the number of transactions going through the EasyGov system. Of better yet, the Swiss Franc value of those transactions in total. In six to twelve months when numbers are higher, then consider promoting the number of Swiss businesses registered. Aside from this there are systemic business process changes that could streamline things a little more. But they’re probably not pragmatic yet for the Swiss culture. Estonia for example has lead the globe on managing digital identity for both citizen and business. But doing so trades off aspects of privacy and requires a strong level of trust of the government and its institutions. Culturally that may suit Estonia but it doesn’t yet naturally fit well for Switzerland or for that matter the overwhelming western world. Switzerland’s approach to two-factor authentication, role-based identity management and ability for businesses to transact end-to-end online is excellent. 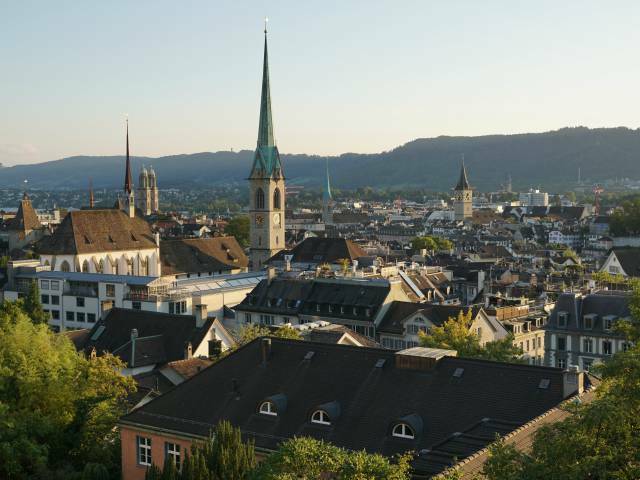 They’re practical in their iterative approach to delivering a seamless experience across the national, cantonal and municipal levels of government. And while the entire customer experience crosses multiple niche portals rather than delivering a single Government to Business One-Stop Shop, it is managed, designed and flows great. So if your government organization is looking at the best practice strategies and tactics for delivering a highly effective specialized business portal, you can learn from Switzerland. A lot.